Last Friday, our friends at Performance Today broadcast the Richter Uzur Duo’s variations on the ‘La Folia’ theme. We were honored that they dedicated a good deal of the show to comparing and contrasting ours with other composers’ takes on the theme throughout its 500 year history. 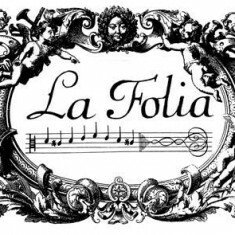 Below is a link to the portion of the show that includes our live performance of La Folia from the Jacklin Arts and Cultural Center in Post Falls, ID, as well as some of host Fred Child’s commentary. Performance Today is America’s most popular classical music radio program, with more than 1.3 million weekly listeners on more than 260 stations around the country. The Richter Uzur Duo’s live performances have been featured on PT regularly since 2008. Thanks for your support. We hope you enjoy the music.